At a time when Pinterest reigns, are cookbooks really necessary anymore? It's an honest question, considering most of my recipe research these days comes directly from Pinterest. If I need a quick dish to bring to a party - Pinterest. If I need a quick chocolate chip cookie recipe - Pinterest. If I need to know how to roast red potatoes for dinner - Pinterest. Truth be told, I've never been much of a cookbook lover. I'm a wanna be minimalist. I love the idea of living with less, but I live with 4 other people. Clutter happens, you know? But when we started toying with idea to pay off all our debt nearly 9 years ago, we had no idea how to live frugally. At the time, we were living on a low, variable income. We had to learn how to live on less than we made. It felt nearly impossible. One of the ways we learned to live on less than we made was through cookbooks. These books became my manual for living. I learned how to modify meats in recipes to make one pound of ground beef go further. I learned how to make so many things from scratch. It was amazing! We compiled a list of our favorite budget-busting cookbooks. If you are looking to lower your food bill to reach a big financial goal, these books could be a life-changing resource for you too! When we were in the early days of paying off down our debt, this was one the first cookbook I read. Keep in mind, I had NO CLUE how to make anything from scratch. Not even kidding. Mary feeds her family of 12 (TWELVE!!!) for $800 to $900 a month. She knows a thing or two about saving money on food. Her recipes aren't overly complicated. No fancy ingredients required. I am a minimalist cook by nature so her recipes are my love language. This cookbook is all about good, nutritious, frugal, homemade food. Mary will teach you all you need to know. Ree Drummond is the first food blogger I ever followed. Her recipes remind me of my mother in-laws cooking. I'm sure it's an Oklahoma thing. If you didn't know, Oklahoma woman are the BEST cooks! 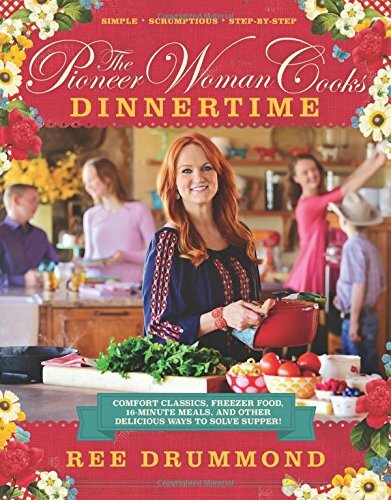 In her book Dinnertime, Ree shares some great tips on how to get good food to the table without spending days in the kitchen. This book has great information on how to freeze ready-made meals. She also has meals you can cook once and then eat 3 meals out of! Her meatball recipe is one of our favorite things to make! A crowd pleaser every time. 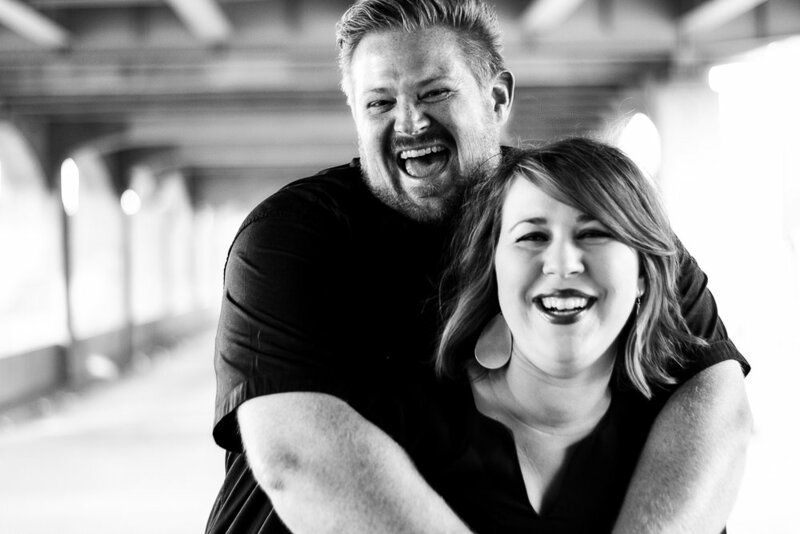 I started reading Jessica's blog when we were first getting out of debt. A the time, she was a local blogger and I loved learning how she managed her grocery budget to feed her family of 8. Her recipes are the best! I've never made anything from her blog or cookbooks my family didn't rave about. Her approach to cooking is simple, flavorful and frugal. 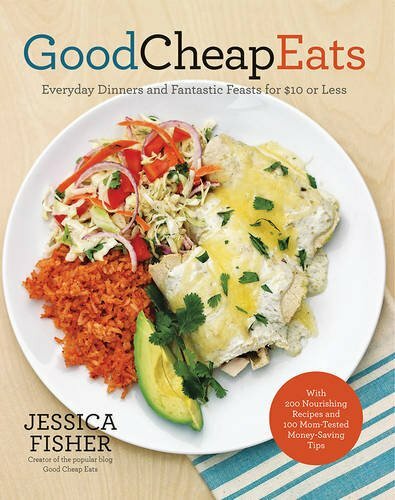 In Good Cheap Eats, she walks you through great meals to make for $10 or less. Check out her blog for more food fun at Good Cheap Eats. 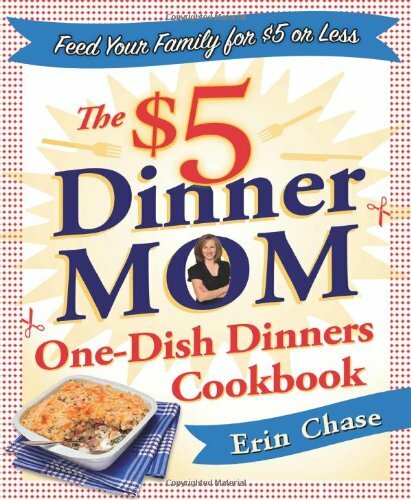 Erin's blog $5 Dinners is founded on one thought: can you create great dinners for a family of 4 for $5? Erin says "YES" and shows you how. This book is an extension of her blog. A terrific roadmap for helping you cut back on your food costs and still feed your family great food! I am a huge fan of Erin's recipes and systematic approach to saving money on food. Also check out her site FreezEasy for frozen meals made simple! Freezer cooking is a popular way to save money on food. The idea is simple: block off some time and prep all your meals. Throw them into the freezer and never be tempted to go out to eat! Mimi and Mary Beth are the queens of freezer cooking. Once-a -month cooking will tell you everything you need to know about planning, prepping, and freezing one month of meals for you family. If that sounds like a lot of work, it is. Once-a-moth cooking is your handbook for freezer cooking. From shopping to proper freezing techniques, Mimi and Mary Beth have it all covered in this book. It is a great resource! Artisan Bread in Five Minutes a Day is the real thing. You really can make delicious, bakery style bread in 5 minutes a day. You don't need any special ingredients or schooling. This book takes all the guess-work out of bread making with clear instructions and great photos. Our favorite recipe is the basic dough. I use to make amazing crusty loaves with soup or the BEST pizza crust you've ever had. People ask us all the time about our pizza crust. It is so good! 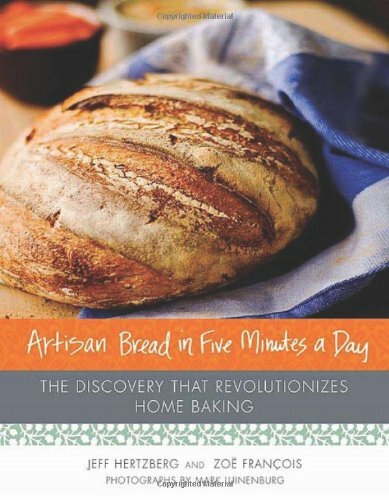 Artisan Bread in Five Minutes a Day shows you how to take basic dough and turn it into many different, delicious creations for your family or guests. 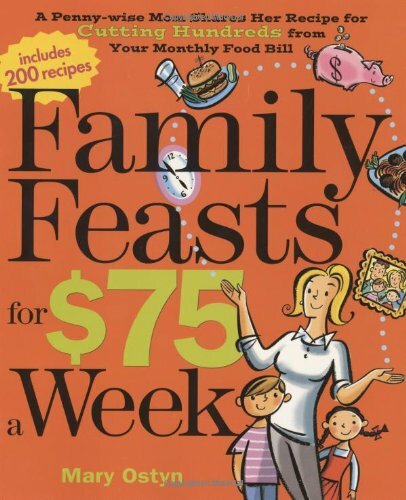 I don't buy many cookbooks but this one if a must for any frugal family! The truth is, there are so many more wonderful cookbooks out there to help you save money. If you need just ONE to start with, go with Good Cheap Eats. Jessica really knows her stuff! 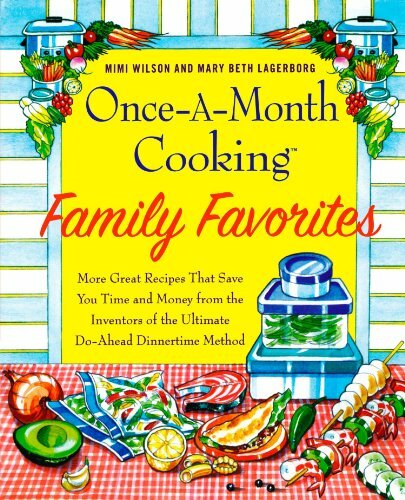 Of course, we'd love to know your favorite cookbook that helps you save money! Let us know!